NEW! 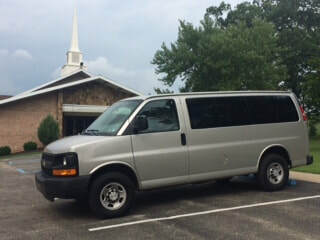 Our van ministry launches this Sunday! We will pick individuals up for our morning worship services, including Sunday School. If interested, please call 724-455-7344 to be added to our route. If you are signing up a child, please download a release form from this website (click on the "Resources" tab at the top of the screen and scroll down to "Van Ministry"). Note: at this time we are picking up school-aged children through Senior Citizens. We are picking up individuals from Mill Run. On June 24, 2018 we celebrated our 175th anniversary. Praise the Lord for His continued work through us! ICBC is located in Mill Run, in the beautiful mountains of southwestern Pennsylvania, also known as the Laurel Highlands. We are an American Baptist Church, affiliated with the American Baptist Churches USA and ABCOPAD (American Baptist Churches of Pennsylvania and Deleware). Our facility includes a large sanctuary, baptismal pool, many classrooms, gymnasium, a large grove with a gazebo, a bell tower with a Honor Roll for local Veterans, and a cemetery. We also have a ranch-style parsonage. We are located near tourist attractions like Ohiopyle State Park and Fallingwater and our rural community is close-knit. Our church has many different ministries, for both members and non-members of all ages. For more information about our ministries, please go to the Ministries tab.